Photographing our own galaxy: The Milky Way is a great experience. From a dark location without light pollution the dusty band of the Milky Way is a wonderful sight to the naked eye and it looks even better in long exposure photographs. 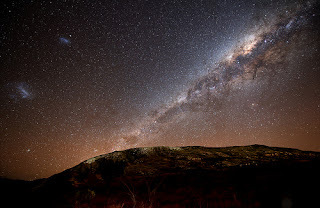 Summer in the North Hemisphere and Winter in the South Hemisphere is the best time to photograph the Milky Way and here’s a short article about how to do it.